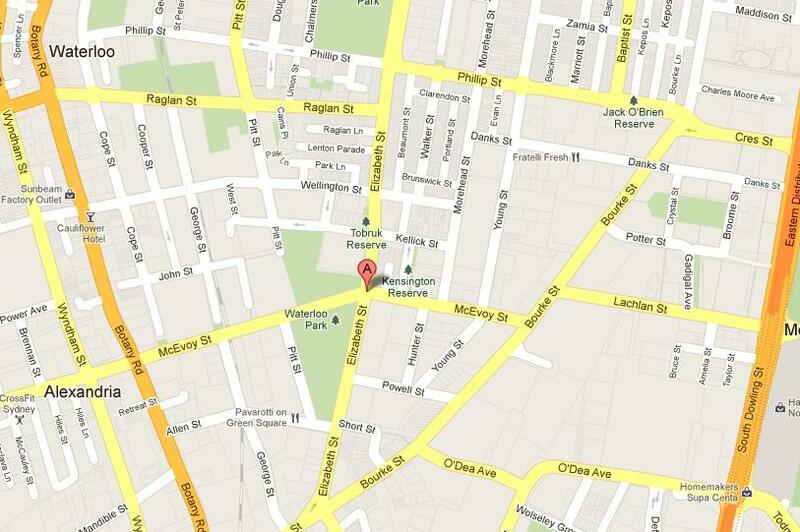 Travel to the ground is easy, our location is directly next to Sydney’s busy Surry Hills area. Bus: The 343 and 345 run between Circular Quays, Sydney CBD and Central Station down through Surry Hills, (our stop is ‘Elizabeth St nr McEvoy St) Zetland and Kingsford. The 301, 302, 301 run as the 343 but to/from Mascot, Eastgardens and Brighton-Le-Sands (nearest stop is ‘Bourke St nr McEvoy St’ and then a 2 minute walk to the ground). The M20 runs from North Sydney/St Leonards all the way through Sydney down to Botany. More details can be obtained through Transport NSW here. Train: Green Square station is a short 8-minute walk away. From the station, walk north up Bourke St before turning left on Elizabeth St. Our ground appears after the new skating/board park. Driving: Parking for cars is available at the ground (behind the grandstand). The ground is easily accessible from all directions, including nearby Botany Road, the Eastern Distributor Motorway (M1) and Anzac Parade.